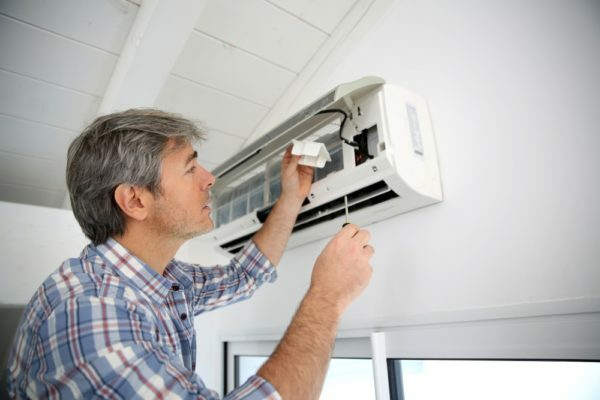 You’ve probably heard about ductless air conditioning, and you’re probably wondering why so many people in Sugar Land, Texas, have made the switch to this kind of system. What are the benefits of paying to install this new technology in your home? How can an air conditioner work without ductwork? Through the effective use of some simple but efficient technology, find out how ductless air conditioning can raise your home’s energy efficiency and lower monthly costs. A standard air conditioner forces air through a system of ducts and into the areas of your living spaces through vents or registers. A ductless air conditioning unit, however, distributes cooled air directly into your living spaces via an indoor wall unit. Ductless technology is similar to the technology of a standard air conditioner, minus the ductwork. Refrigerant enters into an outdoor compressor unit, which cools the refrigerant. Next, the refrigerant circulates back into the home through copper lines. Once inside the home, the refrigerant enters through the indoor air handler unit. At this point, a fan blows air over the cooled copper lines, and the cool air enters your living spaces. Warm air and any condensation within the indoor unit are then transferred to the compressor outside. Without a system of ducts, each draft of air that leaves the unit is distributed directly into your home. The air regularly wasted within duct networks reduces air conditioner efficiency and comfort. Indoor air handlers can also be placed in any room within the home, allowing you to give cooling priority to the rooms that need cooling the most. This cooling priority increases efficiency and ensures that cool air is directed only where needed. Ductless air conditioning technology allows homeowners to take more direct control of their home’s comfort while saving on utility costs. If you’d like to make a ductless air conditioning system a part of your home, call Conditioned Air today at 281-201-0356.